The former world number seven from Spain will work with his former Davis Cup captain during the 2017 ATP World Tour season. 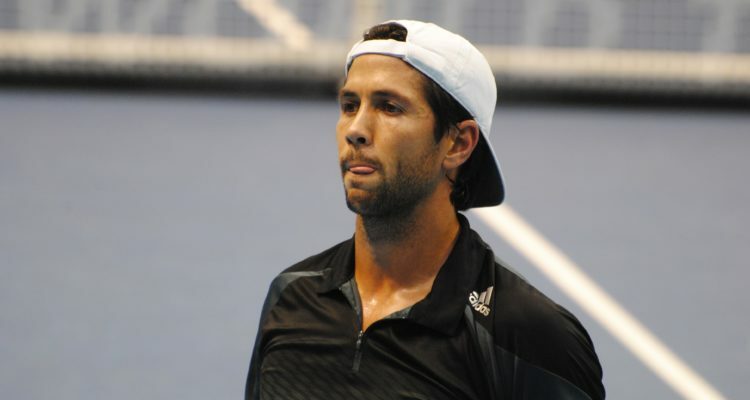 Fernando Verdasco has hired former doubles World No. 1 and fellow Spaniard Emilio Sánchez Vicario as his new coach for the 2017 season. The 33-year-old from Madrid made the announcement via twitter. “Very happy to inform you that Emilio Sánchez Vicario will be part of my team for the next season,” he wrote along with a photo of his team. Verdasco, a former World No. 7, has slipped to No. 42 in the ATP rankings. Sánchez Vicario, who lifted 15 singles title on the ATP World Tour, is ‘happy’ that his compatriot believes in him. “I’m very happy that Fernando Verdasco believes that I can help him regain his place,” the 51-year-old tweeted. I’m very happy that @FerVerdasco believes that I can help him regain his place. Sánchez Vicario made it to World No. 7 in singles as well and won 50 doubles titles alongside Sergio Casal. He also made it to the top of the doubles rankings. He was the captain of the Spanish Davis Cup team for three years. Sánchez Vicario’s tenure there culminated in Spain’s 2008 Davis Cup triumph with Verdasco as one of his players. He resigned as captain after the win. He is co-founder of the Academia Sánchez-Casal located in Barclona, Florida and Nanjing. This entry was posted in ATP Tour, ATP Tour News and tagged ATP World Tour, Emilio Sanchez-Vicario, Fernando Verdasco.